Thiruvalluvar Day marks the birth anniversary of the immortal Tamil Poet-Saint Thiruvalluvar. He is the author of Kural or Thirukural, a poetic composition of great antiquity in Tamil Literature which can be termed as a treatise on the art of living a happy and peaceful life. In 2019, the date of Thiruvalluvar Day is January 16. 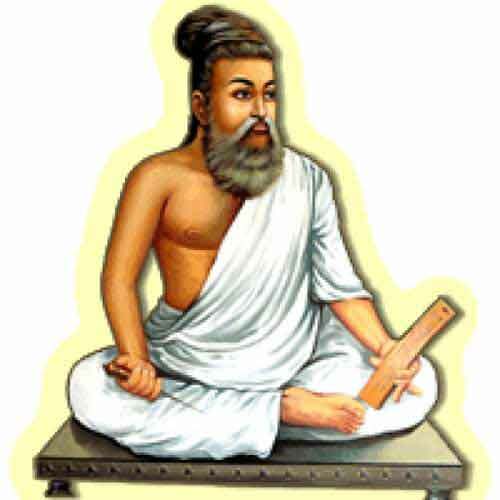 It is believed that Thiruvalluvar wrote the Thirukural in the second century AD but there are also some scholars who believe that it was written in first century BC. Thiruvalluvar in Thirukkural diagnoses the intricacies of human nature and one will be captivated by his thorough knowledge of human psychology. Many of his insights on human mind are yet to be studied by modern psychology. His advices on various topics are sagacious and practical and are relevant in all times. Each new generation is attracted to his teachings in the Thirukural as it is not hampered by prejudice or dogma of any kind. The birth anniversary of Saint Thiruvalluvar is observed on the day after Pongal festival in Tamil Nadu. On the same day, Mattu Pongal is also observed. A huge statue of Thiruvalluvar is located at Kanyakumari and is adjacent to the Vivekananda Memorial in the middle of the sea.